In the spring of 1914, renowned photographer August Sander took a photograph of three young men on their way to a country dance. This haunting image, capturing the last moments of innocence on the brink of World War I, provides the central focus of Powers's brilliant and compelling novel. As the fate of the three farmers is chronicled, two contemporary stories unfold. 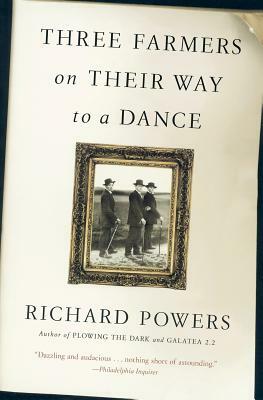 The young narrator becomes obsessed with the photo, while Peter Mays, a computer writer in Boston, discovers he has a personal link with it. The three stories connect in a surprising way and provide the reader with a mystery that spans a century of brutality and progress.